Mickey Mouse will be headlining his own channel in September. The Disney figurehead will be at the forefront of Disney XD +1 from September 4, which will mark the start of a Mickey Mouse makeover for the channel. Over the course of a month, Disney XD +1 will exclusively broadcast specially selected episodes of Mickey and Pals. This will include episodes from Mickey Mouse Clubhouse, Mickey and the Roadster Racers, Sofia the First, The Lion Guard and Doc McStuffins, as well as a range of Mickey Mouse Clubhouse specials. 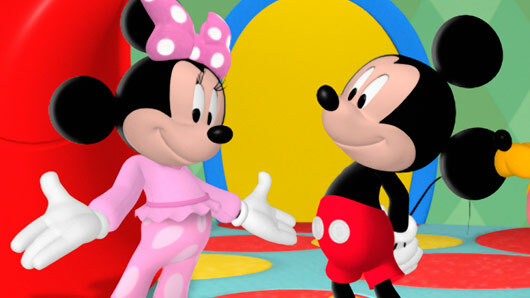 The news follows the successful launch of Mickey and the Roadster Racers, which outranked all other kids’ channels in its timeslot with its premiere episode in April. Since then, Mickey and the Roadster Racers has reached consolidated viewing figures of 3 million above four years of age. A similar Marvel’s SpiderMan-themed takeover which took place on Disney XD +1 in July. Disney Channels UK and Ireland General Manager David Levine said: “As our company’s main ambassador Mickey Mouse brings joy to people worldwide.